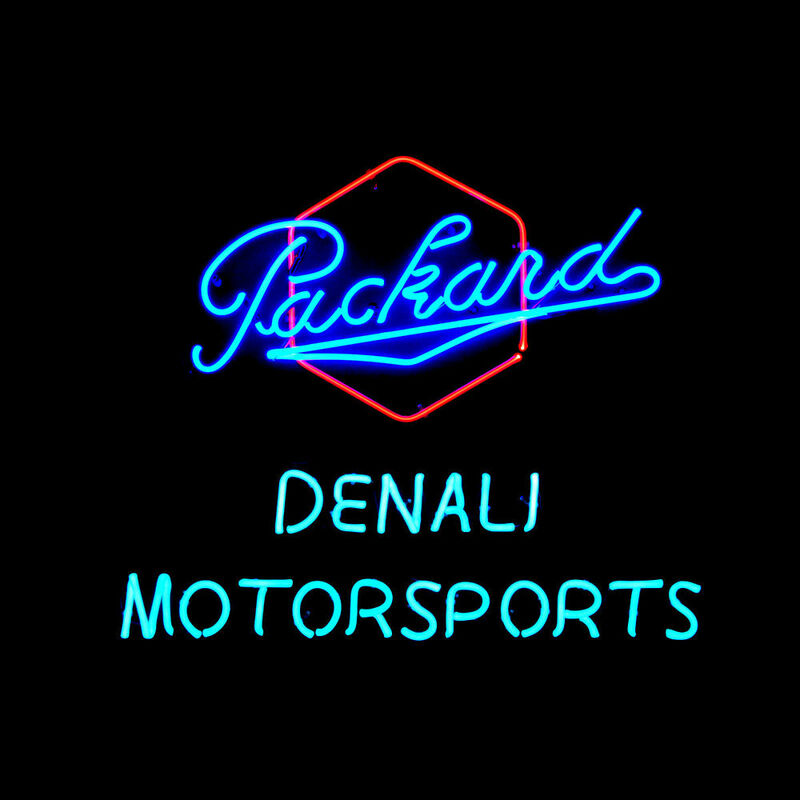 New Car Dealer, Ohio, USA. Optional signed BARTON SALES & SERVICE custom engraved solid brass plaque - can be customized with owner's name, car model, etc. 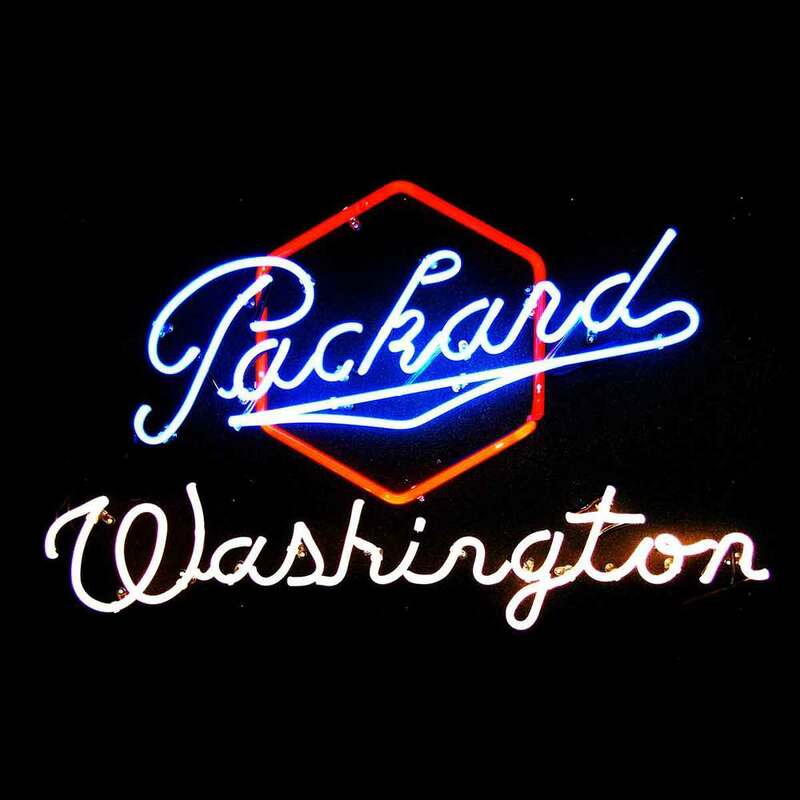 "The Packard Script and Crest are the registered trademarks of The Packard Club, PAC, and are used with permission." 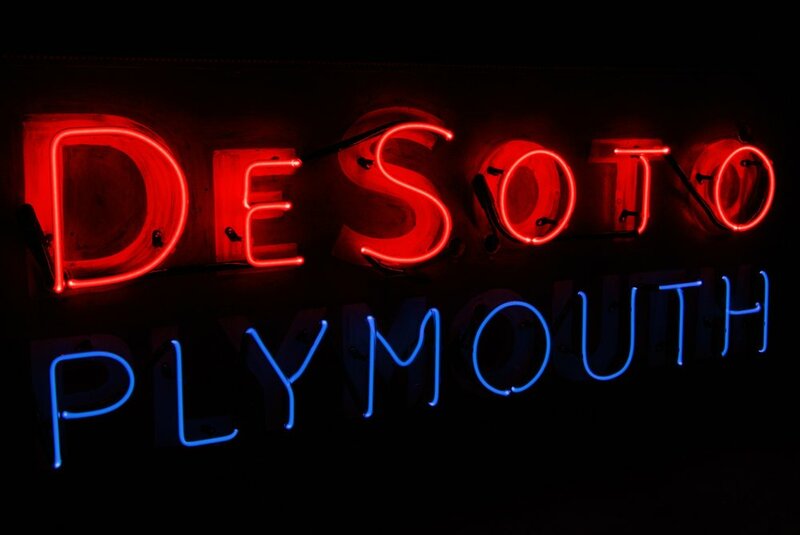 JUST COMPLETED - photo below - large 5 ft. custom designed hand-blown neon sign for a Luxury Classic Car Showroom in Miami, Florida. 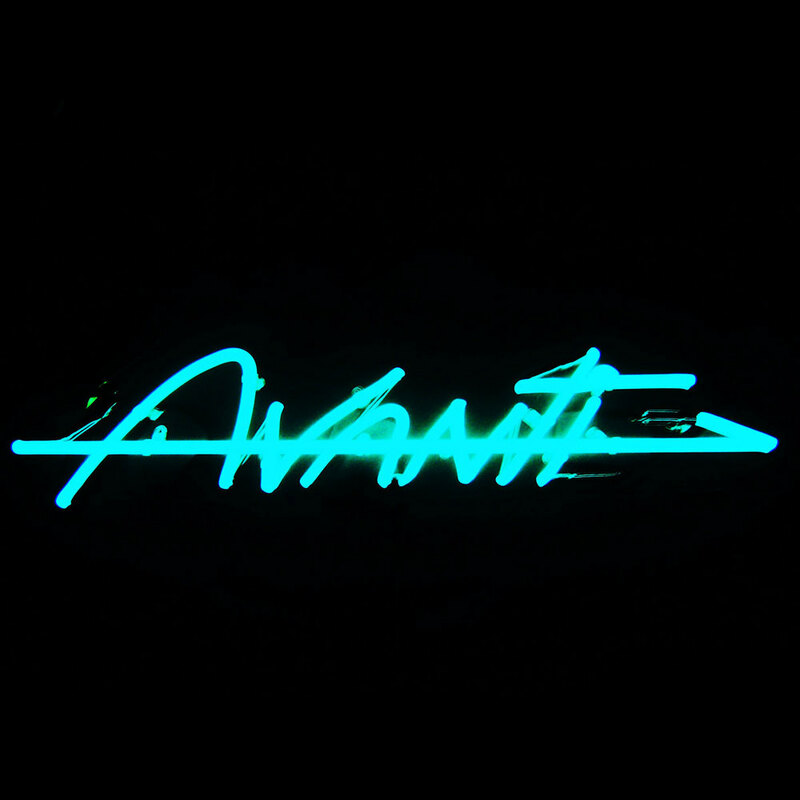 6 luscious neon colors - fine stained Italian Neon Glass from the Island of Murano, Italy. SEE SOMETHING YOU LIKE? Want custom work? Let's talk. 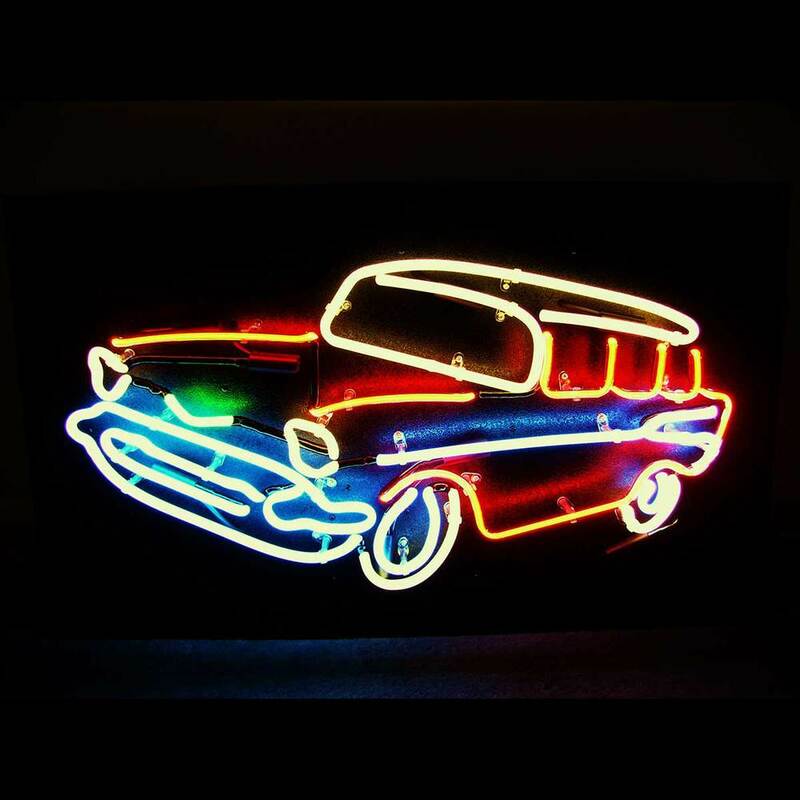 "If you can DREAM it, I can MAKE it" Scrolling down on the left, are examples of stunning custom automotive neon signs, sculptures, and artworks which I have made for show car owners and new car dealerships across the U.S., Canada, and Europe. 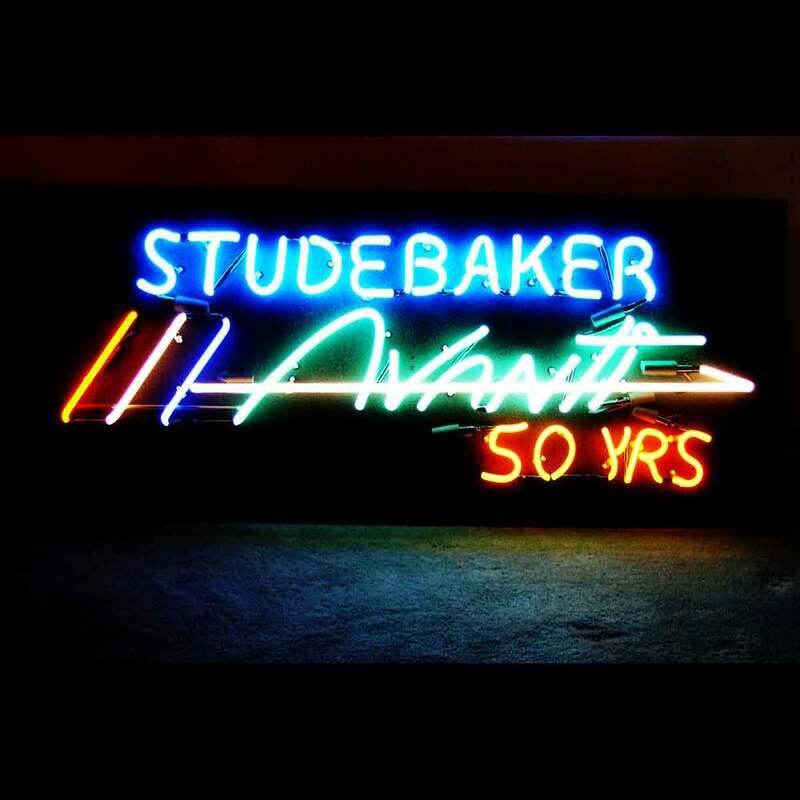 JUST COMPLETED - STUDEBAKER DEALERSHIP SHOWROOM NEON SIGN in 5 brilliant colors! Photo - 3rd row left. 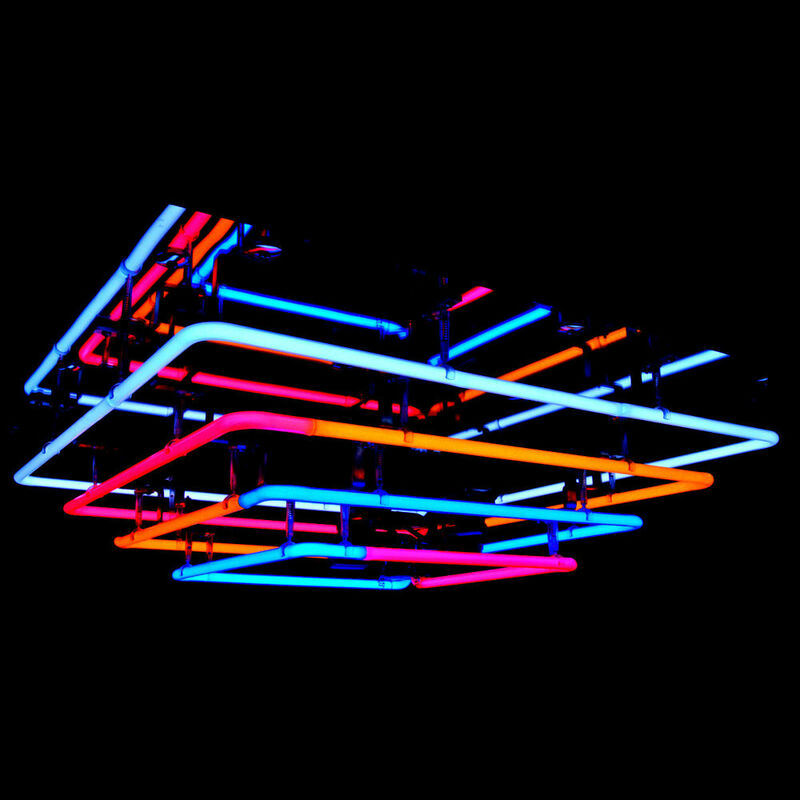 Emerald green, noviol gold, bright red, snow white, and royal blue designer rare-earth phosphor neon glass. Emerald green and noviol gold both being fine Stained Italian Neon Glass from the Island of Murano, Italy. Shipping to San Antonio Texas area. 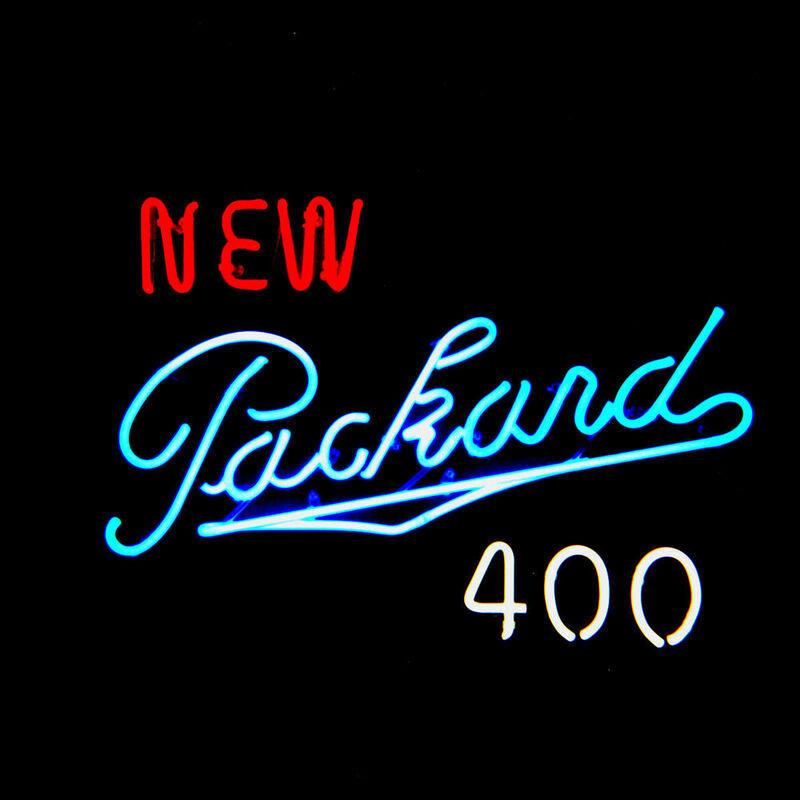 JUST COMPLETED - for West Jefferson, North Carolina - “NEW PACKARD CARIBBEAN” - Dealership Showroom Neon Sign. Photo 2nd row left. 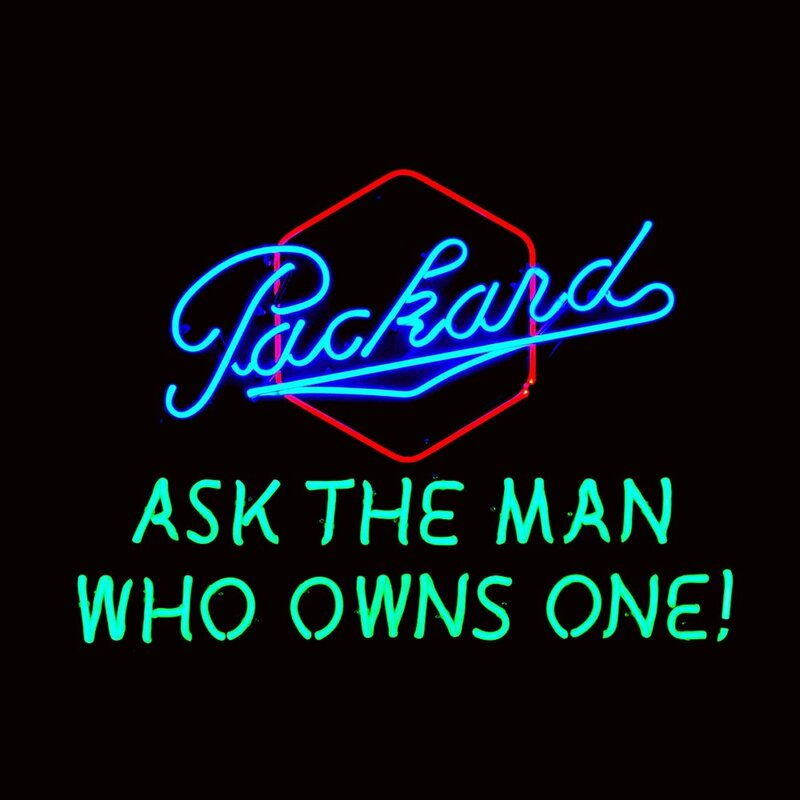 This 39” wide STUNNING Packard showpiece features brilliant neon colors: aqua, emerald green stained Murano Italian neon glass, and noviol gold stained Murano Italian neon glass. 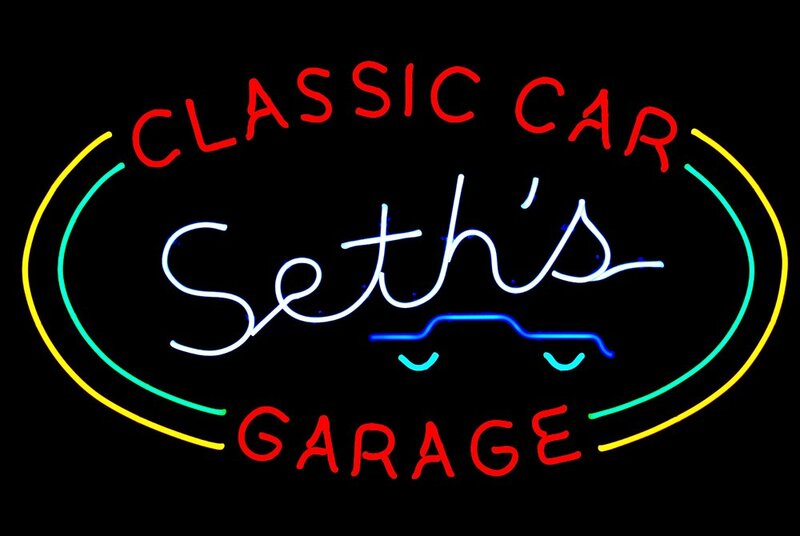 RECENTLY COMPLETED - “ABNER’S AUTO WORKS” 37 inch Custom Neon Sign for a car repair company. 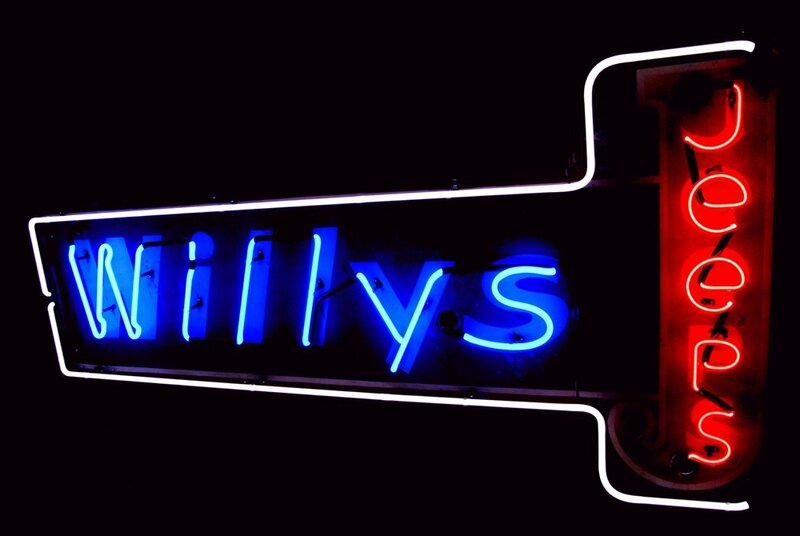 Brilliant red, royal blue, brilliant green, and snow white neon. 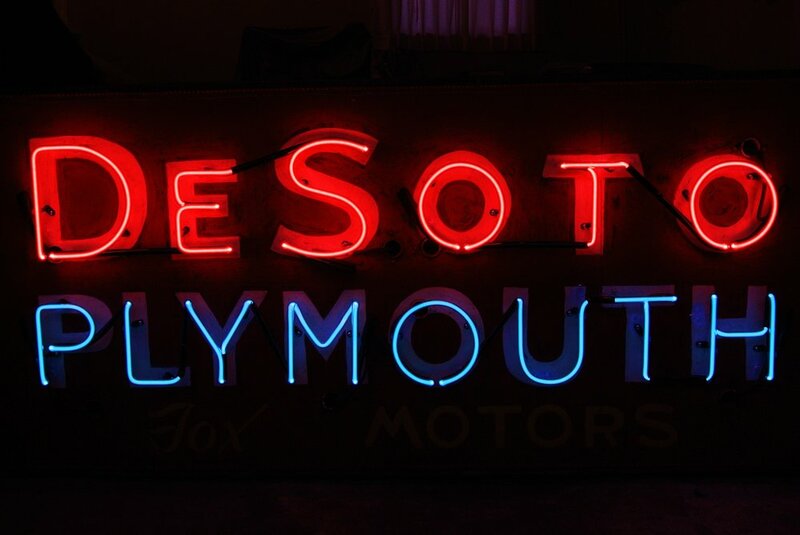 IN PROGRESS for Northern California - all new royal blue neon for both sides of a 9 ft. long Studebaker Dealership neon sign. All new wiring, transformers, neon - everything to bring this huge Studebaker Dealership neon sign back to life! 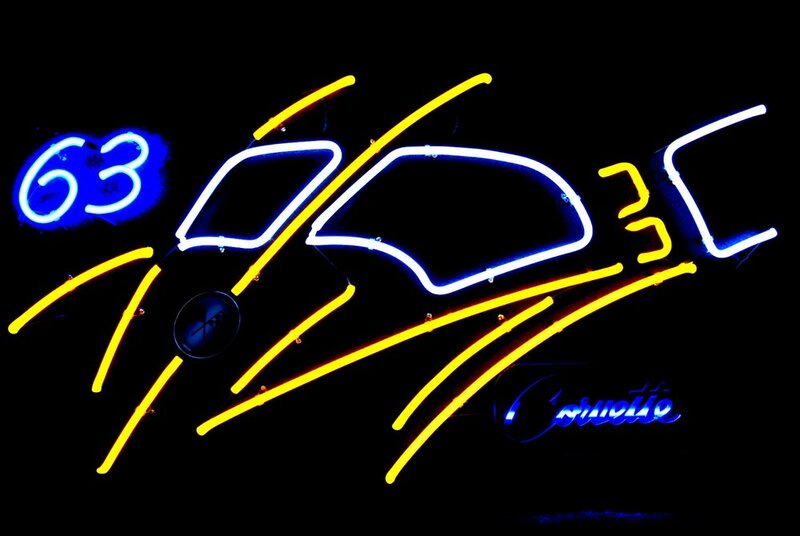 As a former New Car Dealer - Barton Sales & Service - Packard, Studebaker, Fiat, Triumph, BMW, NSU, and Citroen, and Internationally Famous Neon Glass Artist, one of my specialties is hand-blowing ELEGANT custom automotive neon signs, sculptures, and artworks - SHOW CAR GALLERY QUALITY. What are YOUR wishes? Let's talk! "If you can DREAM it, I can MAKE it!"